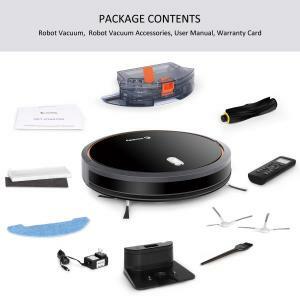 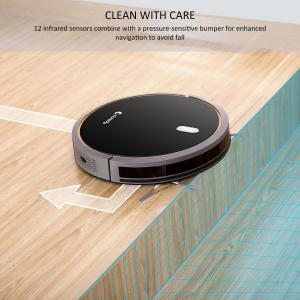 Coredy R500 Robot Vacuum Cleaner is designed to intelligently navigate and clean an entire level of your home, a multifunctional robot with cleaning - sweeping, vacuuming, wet/dry mopping function, perfect for cleaning medium-pile carpets, rugs, hardwood floors, pet fur, hairs and allergens of your home, keep you always in a clean home without needing to lift a finger. 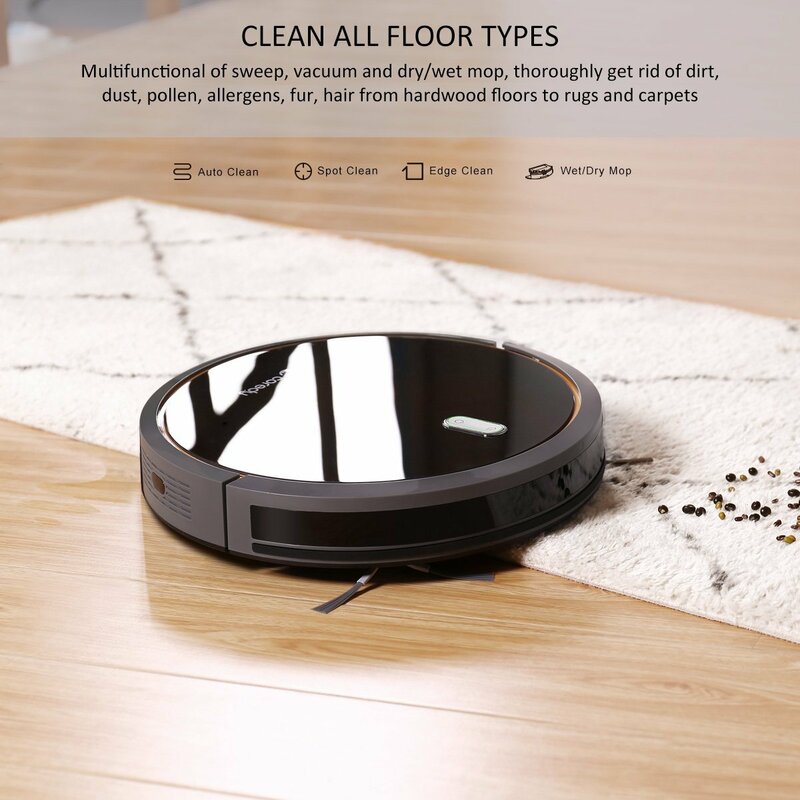 Designed for multiple family environment, auto cleaning, wet/dry floor cleaning, spot cleaning, max vacuuming cleaning and edge cleaning mode, providing completely clean for your home. 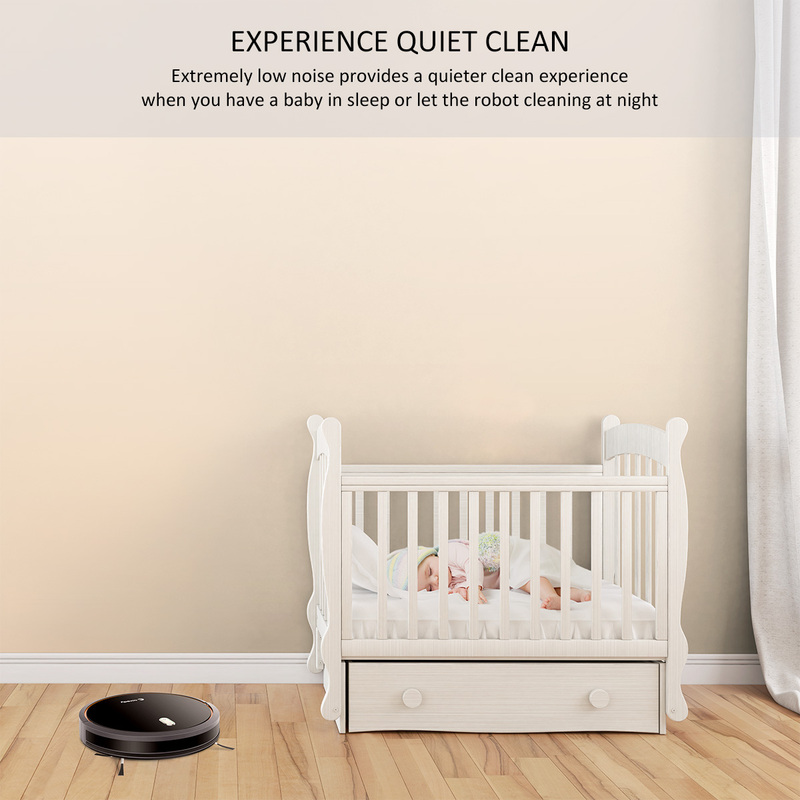 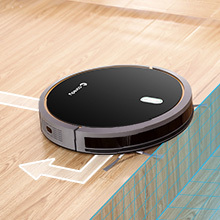 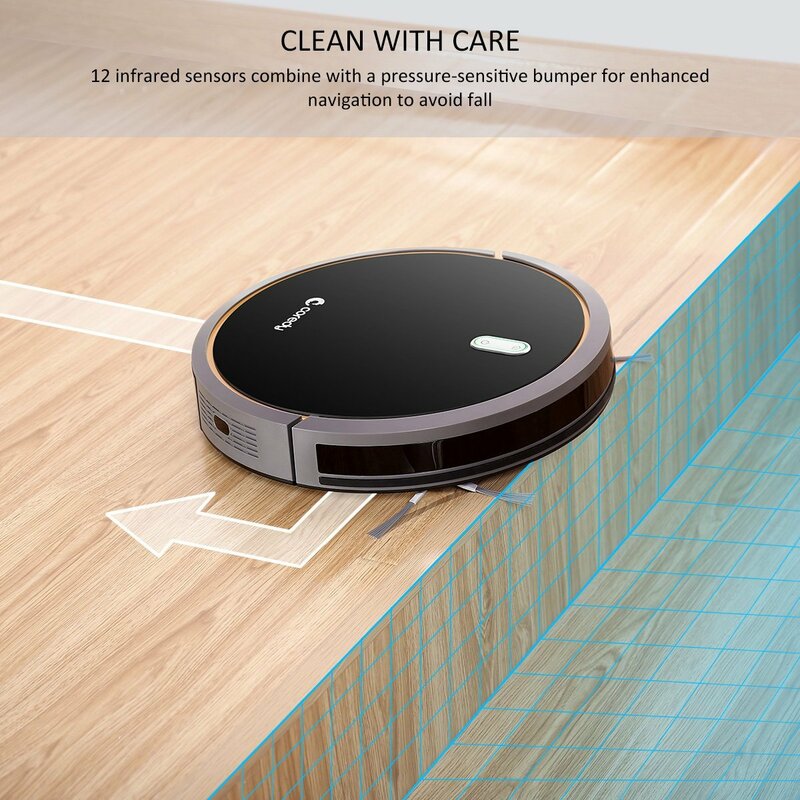 With a simply press the button, the robot automatically starts clean, and self adjust to different floor surfaces when it moves through your home, effectively cleaning carpets, rugs and hard floors. 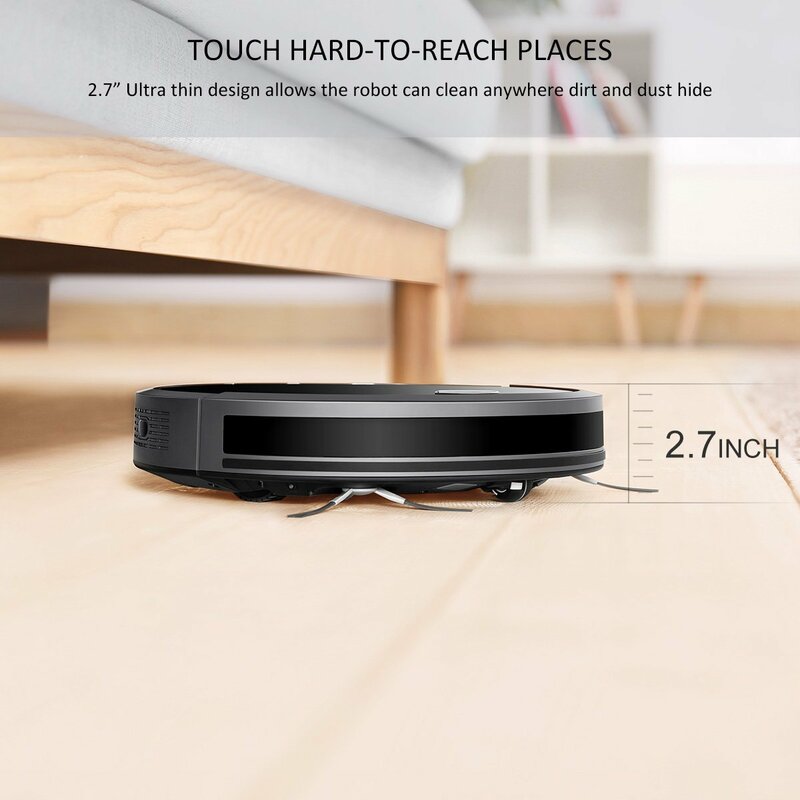 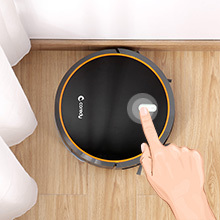 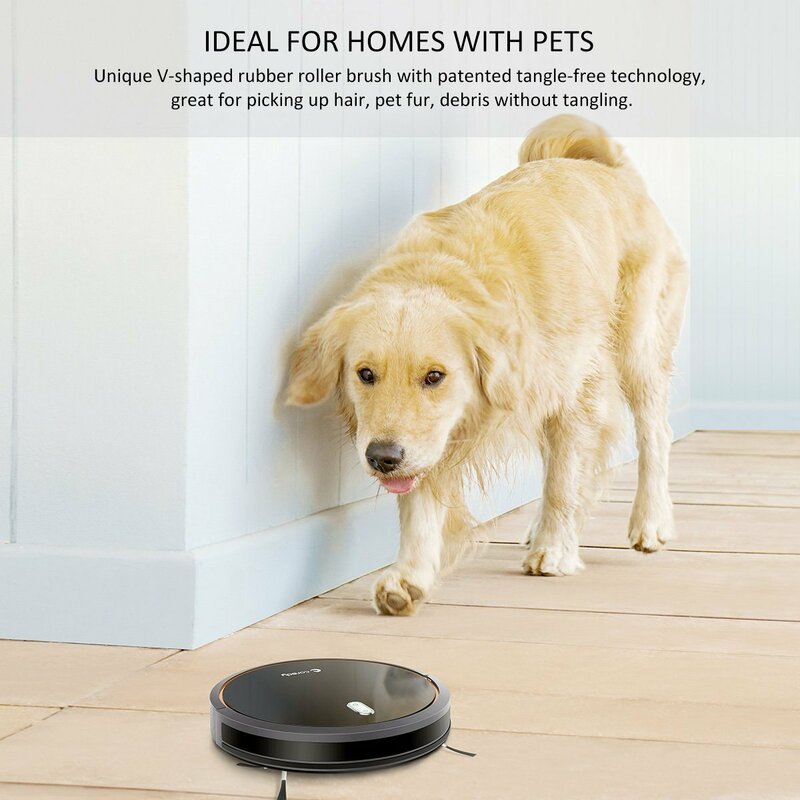 With a low 2.7" profile design, Coredy Robot Vacuum can vacuum where dirt and dust hide, navigating around furniture and under beds, sofas and other hard-to-reach places. 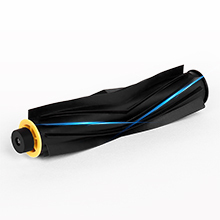 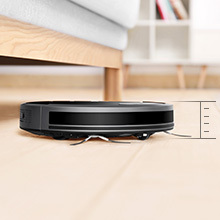 MAX vacuuming mode increase vacuum power to 1400PA to provide a deeper clean, which is 30% more powerful than other robot vacuums. 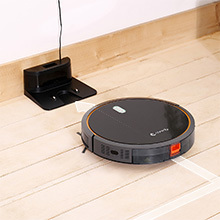 12 infrared sensors combine with a pressure-sensitive bumper for enhanced navigation, protecting your R500 vacuum cleaner robot and your furniture, walls, and other household items from scratches. Coredy R500 robot equipped with drop sensor technology, offers smart motion cleaning and drop-sensing to navigate, avoid your robot vacuum falling down from stairs and off of edges. 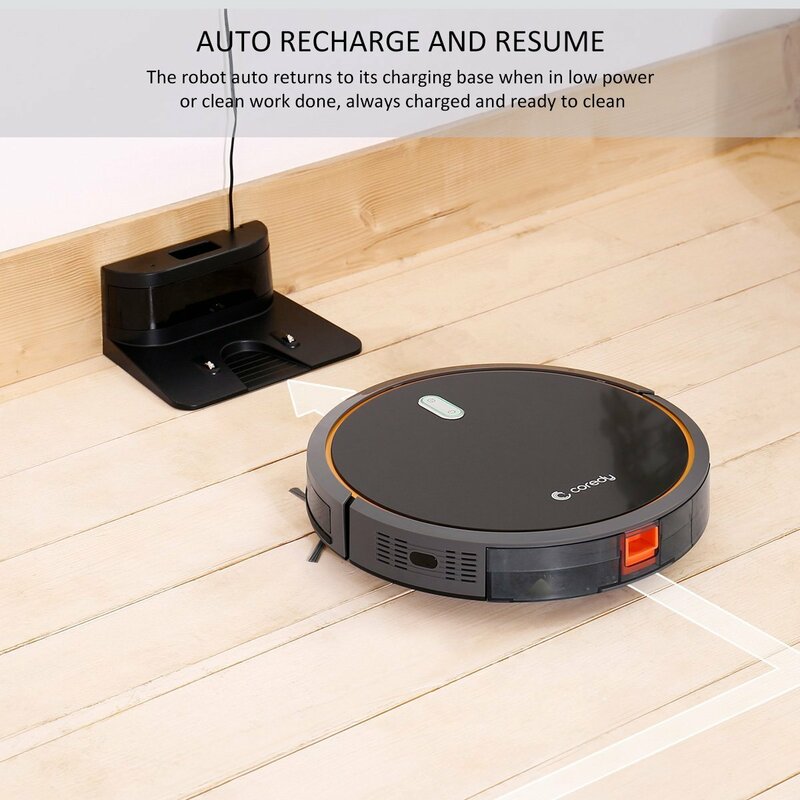 Coredy R500 robot vacuum automatically returns to its charging base when power is low or has finished cleaning work, ensuring it’s always charged and ready to vacuum. 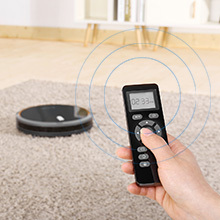 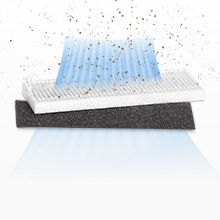 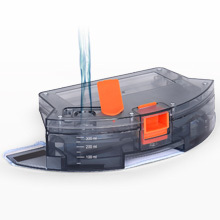 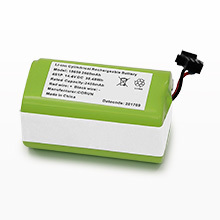 Use the remote control to manually control robot vacuum cleaning path and to preset a cleaning time. Unique V-shaped rubber roller brush with patented tangle-free technology is great to pick up hair, pet fur, and debris without tangling. 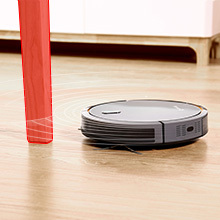 Large climbing wheels with powerful suction allow the robot easily and thoroughly clean from hard floor to carpets without barrier. 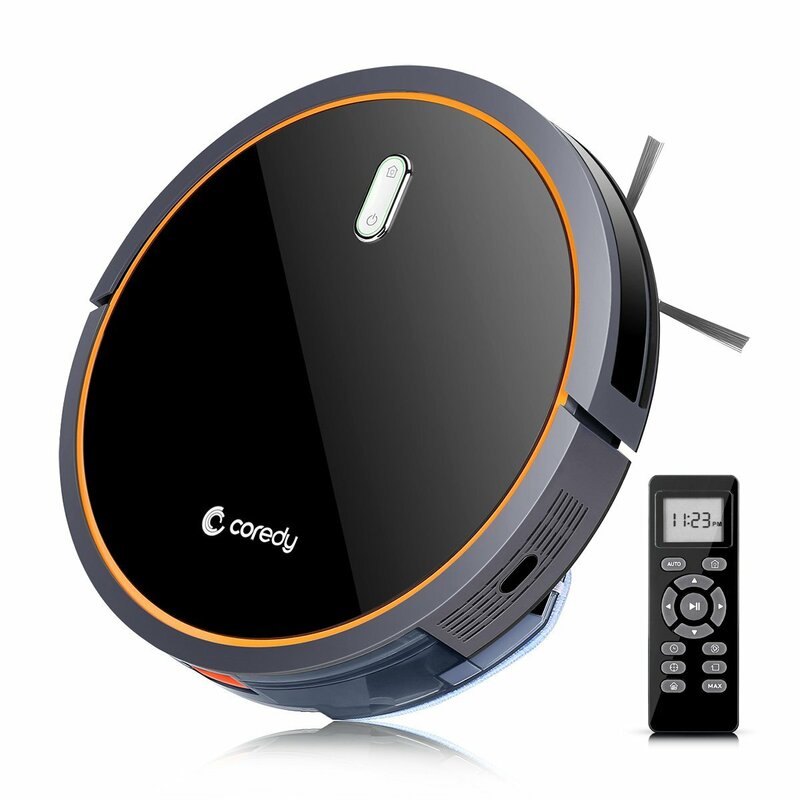 Coredy R500 floor cleaner robot supply a 300ml capacity water tank allow the robot can floor mops cleaning for your home, along with a large 550ml dust box, which can hold more dirt per clean and reduces the frequency of emptying, brings a comprehensive cleaning performance for your clean work. 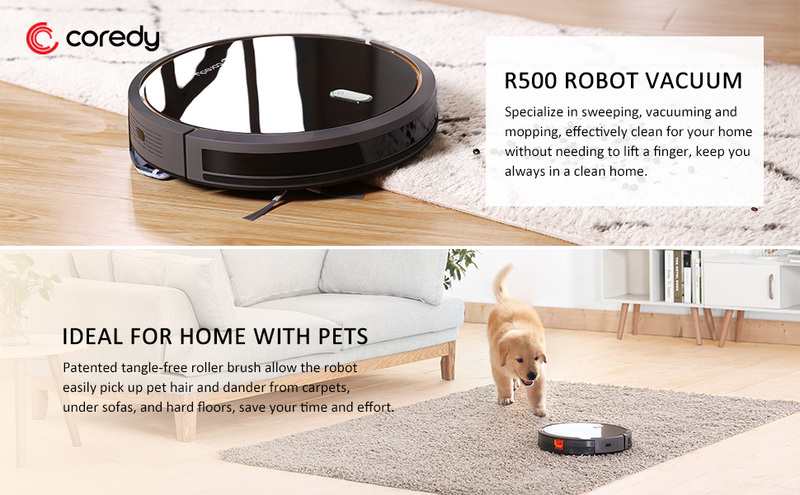 The R500 cleaner robot comes with high efficiency air filtration system that easily filter out a range of dust and allergy including particles, ideal for home with pets. 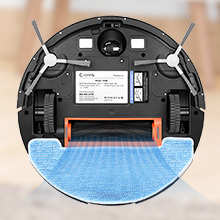 Coredy robotic vacuum cleans up to 110 min per charge, you get to enjoy a completely multi-room of your home from a single charge. 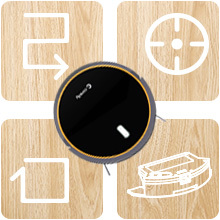 © 2011-2018 Coredy Tech Inc. All Rights Reserved.